YouTube is the greatest platform for sharing all kinds of videos including music videos. For music lovers, here comes the good news, you can easily transfer music from YouTube to iTunes. This is a very pleasant experience since you can download the music and convert it to any format you may want, using the free YouTube music Downloaders. Most people are taking advantage of these great video download programs as this saves them the hustle of looking for music in the video stores. Today you will learn how to transfer music from YouTube using the best YouTube music downloader ever. To conveniently and efficiently download music from YouTube to your Mac/Windows PC, I highly recommend iMusic. It is the best tool for all music enthusiasts who would like to download the music that they love and save them to their personal collection. iMusic also enables you to convert the downloaded YouTube music to other audio format, and allows you to export the music or video to iTunes library directly. It is very easy to use and a very fast YouTube music downloader hence it gives you a better experience. Play Music: listen to music tracks or playlist in discovery channel, or create your own playlist by adding local songs or online sharing sites. 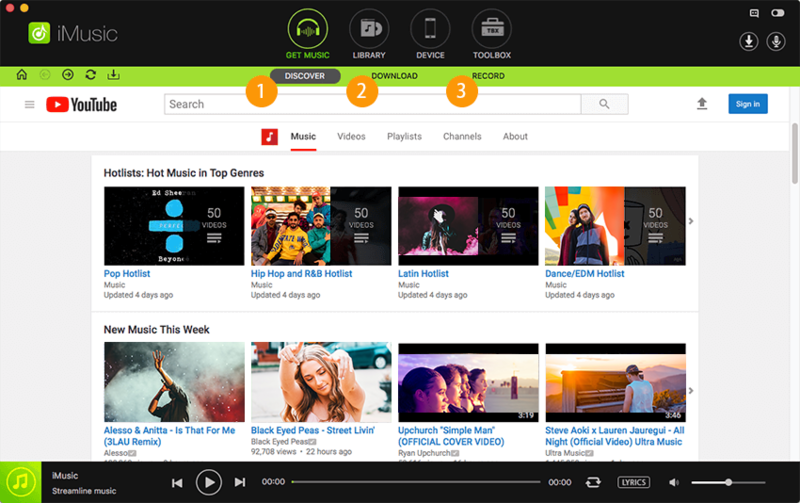 Download Music: download music tracks from 3000+ sites including YouTube, Spotify, Vimeo, YouTube, Pandora, Last.fm, etc. 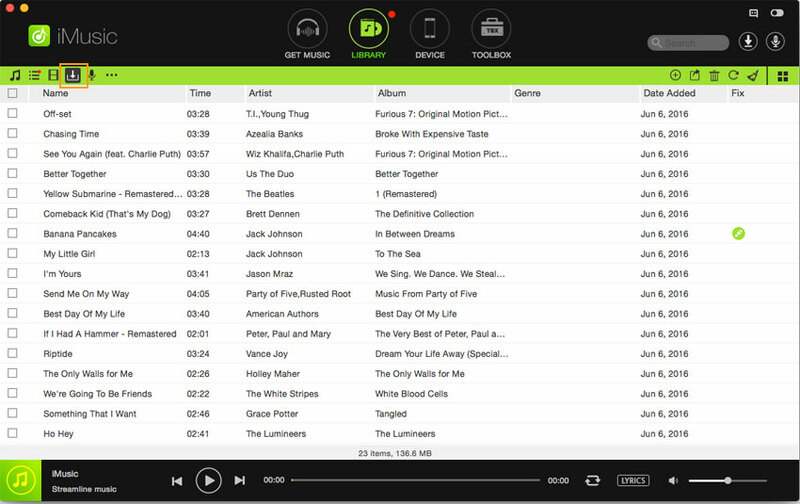 Record Music: record online radio or any playing audio with a well-balanced and well-managed music recorder. Transfer Music: transfer music across multiple devices, or sync music in the form of individual files/entire playlists to phones or iTunes library. 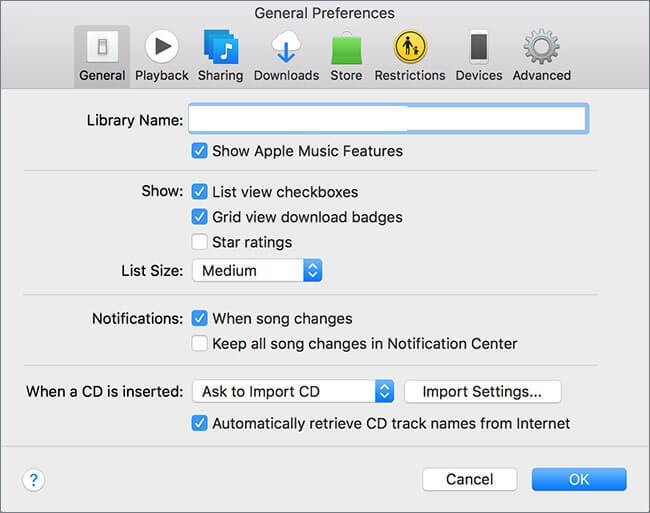 Backup, Repair and Rebuild Library: fix any duplicate files, missing album covers, mislabelled songs and broken or dead tracks in iTunes Library. The installation process is very simple since you can only drag the installation file to the Applications on your Mac or your downloading folder in Windows PC, and then after a few seconds, you will be done. After you have downloaded the program, launch it by running it, and you will see the main interface. Click ‘DOWNLOAD’ tab under ‘DISCOVER’ tab, from where you can see a field to paste links of video tracks and a download button right next to it. 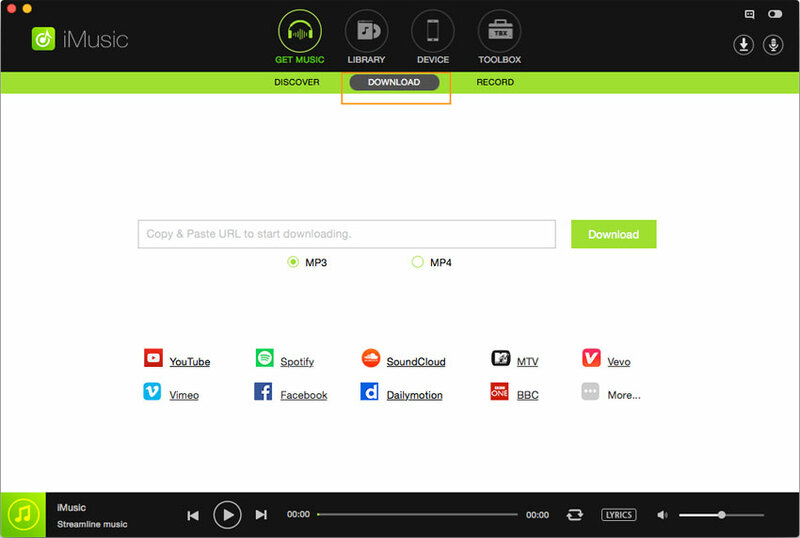 You can copy the video URL from YouTube and then paste it into the main interface, and this great program will start downloading the music. Alternatively, choose “YouTube” from the part beneath and you will be directed to YouTube. 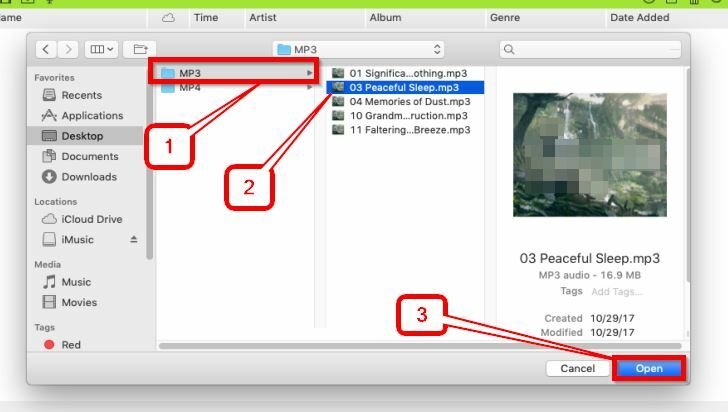 Open the music track you want to download and copy the URL, and the URL will be pasted automatically to iMusic download link field. Once you have downloaded the YouTube song successfully, you can see a download icon at top left of the application screen from Library tab in the iMusic application. You can also download multiple songs at a time with this amazingly powerful application. 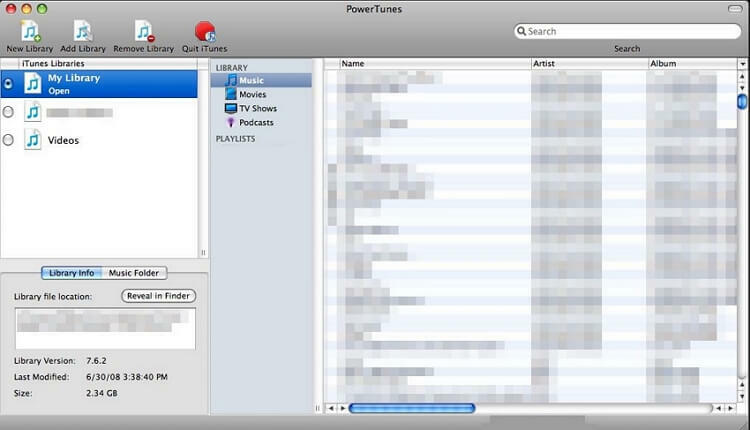 This application automatically adds the downloaded song to iTunes and you do not have to do anything. You can check the recently added song by going to “Recently Added” in your iTunes library.